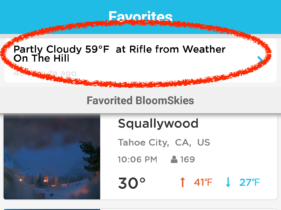 With the latest Android app update (2.2), we’re adding more control to your favorite station list, easier search, and a new level of interaction between weather station owners and their followers. 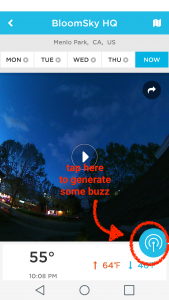 The BloomSky app has come a long way from the first version released over a year ago as we regularly bring new elements to the app. Many new features were tested for function and performance through the iPhone platform over the last several iOS app updates. Following user feedback and refinement to incorporate these new elements, the first substantial Android app update in two months is here. 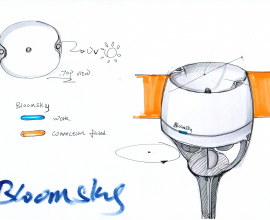 The fundamental purpose of BloomSky is to give people a way to see real-time, accurate weather, but above all – make the weather easy to understand so as to be better prepared for what’s out there. 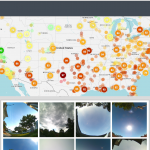 If a picture is worth a thousand words, then the BloomSky app – offering you a view from over two thousand visual weather stations – is, well, worth a lot. Getting the information that matters to you, quickly and efficiently, is key. With this latest update users can organize their list of favorite stations into the order that works best for them. This will put the weather stations most important to you right at your fingertips when your first open the app. Simply long-press on a station in your list of favorites, and drag it up or down in any order you wish. 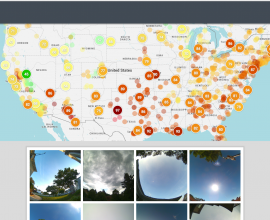 We’ve also added a new broadcast feature for BloomSky station owners called WeatherBuzz. The WeatherBuzz feed, found at the top of the ‘Favorite’ tab, will scroll through broadcasts sent from BloomSky station owners. Weather station owners can broadcast details about a fast-moving storm, a great view their station captured, or just about anything on their mind. If you are a station owner, click the WeatherBuzz icon on the bottom right of your BloomSky station detail page to send a broadcast. 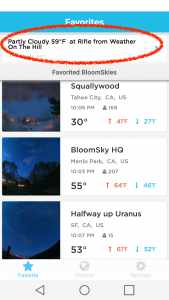 The WeatherBuzz text allows 80 characters and is completely editable, but will automatically populate with the temperature, city and the BloomSky station name. Other convenient features have been added to this new version as well. All users can now change their username from the preset username based on the email address used when registering the app. 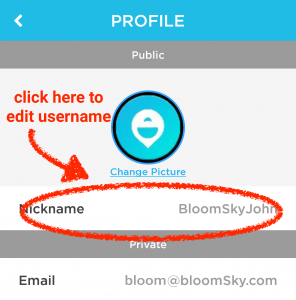 As the BloomSky community continues to grow, we want users to personalize the identity that they put forward as they see fit. The location search in the ‘Explore’ (map view) tab has also been optimized, suggesting locations as you type. However you can still search for a particular BloomSky station name – select ‘By Device Name’ to search for any part of the device name. We’re thrilled to publish this long-awaited Android update, and we can’t wait to share the next phase of the BloomSky app. 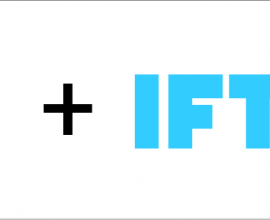 Do you have ideas for the app, or envision a useful element that has yet to be added? Share your ideas with us here! Sounds lovely…unfortunately with this newest update of yours Bloomsky now will not even load on my phone, or my desktop emulator. Hi Andrew, At the time of this post, version 2.2.2 was still up on the Android store; version 2.2.4 was pushed to the store on 4/23 (Saturday), following this blog post. If you’ve gotten the latest update and are still having issues loading the app, please send our support team an email at ‘support@bloomsky.com’, please include your mobile device model and Android version number. Thanks! I have been locked out of my bloomsky for over a week. How do I get technical support to wipe it so can reconnect to my account? Hi Dallas, Sorry for the inconvenience. You can reach our tech team at ‘support@bloomsky.com’, or (855) 278-7080 between 9am and 5pm Pacific time. They’ll get you back up and running in no time. I have the Sky 2, where do you see precipitation? or get alerts? Hi Kristopher, You’ll be able to turn on or off alerts in the ‘notifications’ panel under the “Menu” tab within the app. Precipitation alerts will come from only from stations that are set up under your account (currently, not from stations you follow). As for the precipitation, you’ll only get the amounts reported from locations that are equipped with the new Storm wind and rain station, the the SKY2 does not have a tip bucket to register rain amount. The amounts are shown in the bottom horizontal bar, designated by the ‘rain’ icon; if the location is reporting rain you will either see a number or ‘–‘ if there is no precip, otherwise ‘N/A’ will represent that the location is not equipped with a wind and rain station.